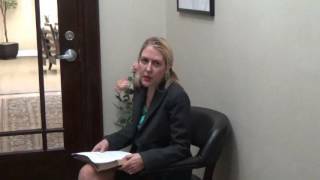 Representative Cases | Tampa Law Advocates, P.A. 1. Business Chapter 7 Bankruptcy. Client was a C-corporation distributor of books. The company was failing, and the shareholders were moving on to other business interests. We filed a simple Chapter 7 and the trustee liquidated the business assets, Since the client was cooperative, the entire case was handled in a straightforward manner. 2. Multiple Property Foreclosure Defense/Short Sale. Client was an individual with seven investment properties in Florida. When he was served with foreclosure lawsuits on each of the properties, he promptly retained us to defend against the lenders so that he could continue to rent out the properties. Paying affordable legal fees for the civil defense allowed the investor to continue a positive cash flow for several years until the summary judgment phase, at which time the client avoided most of the foreclosures by having us short sale the properties for him. 3. Father’s Rights Custody. Client was a father of two small children, with shared custody. Ex-wife refused to pay child support or to properly care for the children during her time-sharing. Mediation being unsuccessful, the case proceeded to a hearing before a Magistrate who decided in favor of Dad and ordered the ex-wife to become current on child support. 4. Real Estate Commission Dispute. We were hired by a real estate broker who represented a buyer in a failed commercial real estate closing. At the last minute, the seller of a building decided to walk away from the table. The suit was not against the seller, but rather against the seller’s real estate broker. The real estate broker did not fully understand the contractual relationship that is created by offering of a property sale co-broker commission through the Multiple Listing Service. Fortunately, the other broker’s attorney was well-versed in these types of cases. We were able to settle the matter amicably without unnecessary legal fees. 5. Chapter 7 Bankruptcy and Student Loans. A college graduate has tried to pay down his student loans, but cannot seem to get ahead of the crushing debt. By filing several federal adversary actions after the initial Chapter 7 petition filing, we hope to discharge or settle his student debt and allow him to make ends meet. 6. Chapter 13 Bankruptcy. An incarcerated client files a Chapter 13 bankruptcy to save a former primary residence in which his wife resides. We seek waiver of the required debtor attendance for the 341 Meeting of Creditors by virtue of a power of attorney. The debtor’s proposed plan relies upon rent collected by a third party which remains available for the payment of debts. 7. Personal Chapter 7 Bankruptcy With Business Assets. An art dealer has to file bankruptcy due to business debts for which he is personally liable. The client is being hounded by debt collectors and can no longer run the business, so we liquidate it. The trustee painlessly takes over the process when we turn in the warehouse keys and records at the 341 Meeting, and the client gets his discharge and is able to move on. 8. Bankruptcy Military Clearance. An active duty military client with high-level clearance is upside down on real estate, and has a lot of unsecured debt from his divorce. By filing a Chapter 7 bankruptcy, he is able to maintain his security clearance because with a discharge from the debts, there is no perceived risk that he will sell sensitive information to pay creditors. 9. Global Loan Modification/Foreclosure Defense. A client purchased a 10-unit apartment building, which he later tried to convert into condominiums. Prior to the conversion being completed, he acquired individual loans for each of the units. When the condo conversion process failed, he was left with unmarketable title to an over-encumbered commercial property. By defending the foreclosure litigation and seeking a global loan modification, we attempt to resolve this unusual situation. 10. Start-Up Asset Protection Business. A client has a partner in a real estate asset protection business. By dissolving the LLC entity and negotiating settlement with the soon-to-be-former partner, we are able to keep our client in business with little down time and no loss of clientele. 11. Out-of-State Custody. A mother moves back to New York from Florida, and wants to take her young son with her. The father objects, and we file a petition for removal. Through mediation, we are able to create a workable time-sharing schedule that meets the best interests of the child. The client saves a lot of time and money, not to mention the emotional stress that is avoided.